At the clothes sale and swap in the Play Street, Lee Bamsey (pictured) and Frances Currie will be showing anyone who wants to learn some of the tricks and tips of face-painting. Here's how to master favourite designs and swiftly transform your child into a character of their choice. 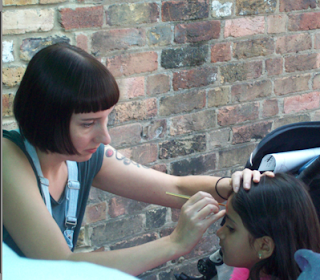 You can practise with face-paints supplied.